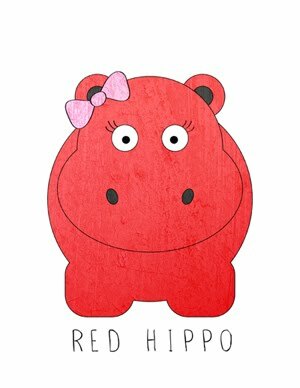 Red Hippo: Poppy is ONE month old! 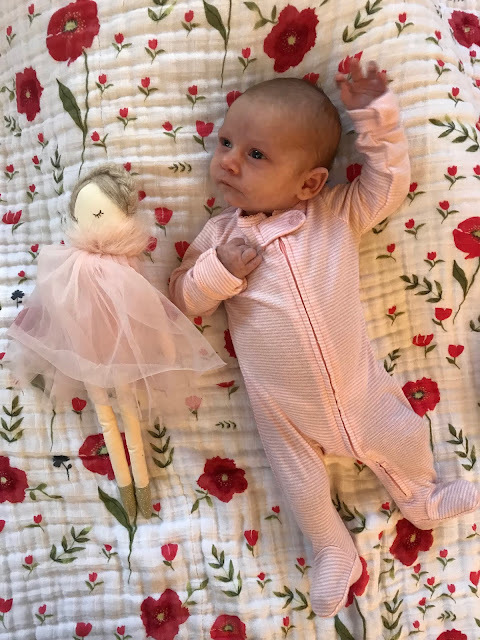 Poppy is ONE month old! One month of Poppy has been pretty amazing. We spent the first three days of her life in hospital, where they kept an eye on her abdominal mass (making sure it was stable and didn't need surgery right away...which it didn't, thank GOD!). As experienced parents, we knew the importance of sleep, so each night we asked the nurses to take little Poppy to the nursery so we could get some rest (and they brought her to me when she needed to nurse). The boys visited Poppy for the first time while we were in hospital. They brought her sweet gifts, a balloon, and flowers for their mama. It was so special to watch as my little guys each picked up their new sister and held her for the first time. Be still, my heart. Poppy has been nursing very well since her first moments after birth. She doesn't sleep well, however. She wakes up every two hours, and after three in the morning, she wakes almost every hour. In her first week of life, Poppy reached her birth weight again (she was born at 6lbs. 8oz and left the hospital weighing 6lbs. 2oz.) She started out wearing preemie clothes and is now rocking her New Born outfits!! Everyone comments on how little she is, and how perfectly round her tiny head is (which were the exact same comments our other two babies received). When she was born, I immediately noticed tiny red marks right at the base of her nostrils and a small red raspberry mark on the back of her neck- we'll see if they stick around. i was determined to keep Poppy in the bassinet beside our bed and NOT bring her into bed with me- but alas, I am a co-sleeper in my bones. Poppy tends to start off in her bassinet and after her first wake, I put her in the DocAtot next to me in bed. She wants to be touched and/or held at all times...so there is a LOT of snuggling going on. poppy makes a ton of squeaking noises- usually when she stretches or begins to wake up. the boys lovingly refer to her as a "squeaky toy." She loves to look out the window and she loves to gaze at her big brothers. In the last several days I've noticed more eye contact and some sweet little coo's. In Poppy's first month of life she's had several out of town visitors: Brandi (dear friend from California), Nana and Grandpa, and Auntie Heather! What a lucky little girl! This month has been absolutely amazing. I'm so grateful to have a baby once again! I'm definitely in my element. 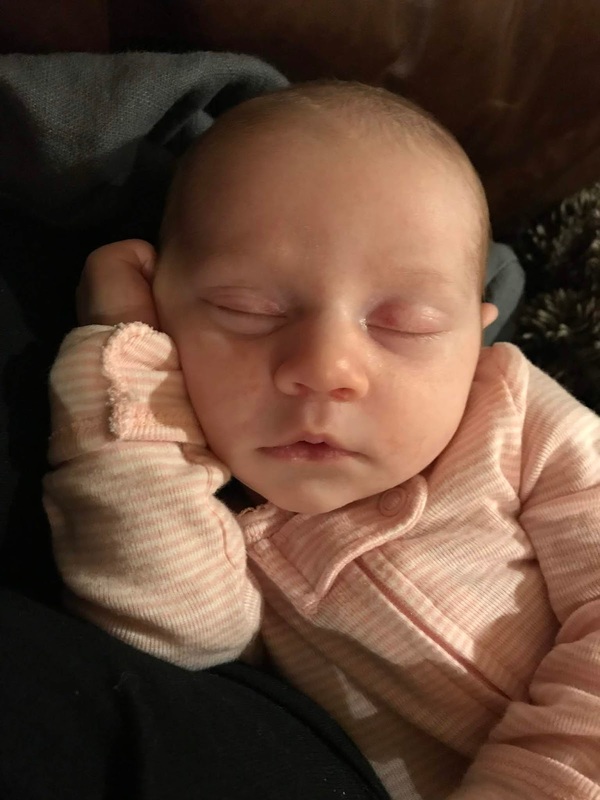 If you're interested in reading about her Birth Story, you can find it HERE. 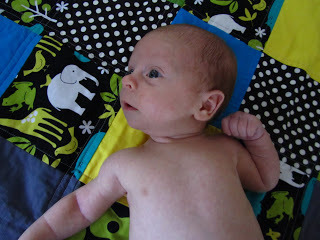 Easton's One Month post is HERE and you can find Sailor's HERE.